Recently, Real Estate Firm Filinvest Land, Inc. (FLI) introduced Richard Yap as Filinvest’s new brand ambassador and dream advocate of its new campaign at the Filinvest Home Expo in Festival Mall Alabang dubbed, "I Own My Dream," that aims to inspire Filipinos to dream and work hard to reach their dreams. FLI showcased its developments in Alabang, Cavite, Laguna and Batangas under its affordable and mid-income brands-- Futura Value Homes and Filinvest. Aside from this, a talent competition called “Filinvest Got Talent,” featured song and dance numbers to entertain mall revelers and expo guests. “Since the company was established, FLI has been rightfully claiming and owning its decades-old tagline, “We build the Filipino dream.” Driven by the Gotianun tradition of integrity, quality and service, FLI continues to ‘build more Filipino dreams’ while developing and expanding our diverse property portfolio to residential, office and retail spaces. And while we expand, it is just high time that we introduce “I Own My Dream” to inspire more Filipinos to dream and own their dreams not just here in the country, but around the world. 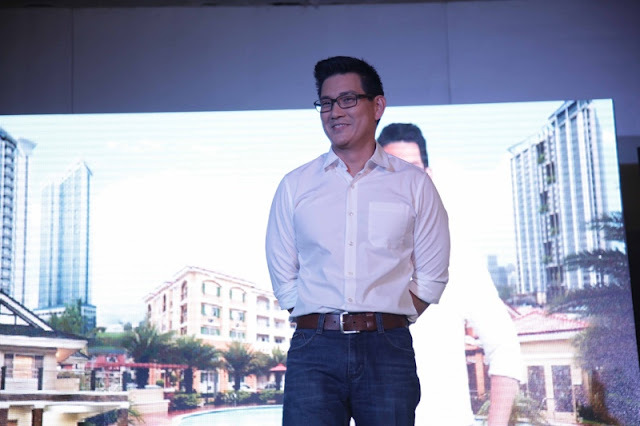 Filinvest has chosen Richard Yap as their dream advocate because “he is an example of a Filipino dreamer who dared to pursue his dreams. Yap, like many Filipinos, started out as a regular employee and a part-time entrepreneur who wanted to provide the best for his family. “Filinvest shall continue to ‘build more Filipino dreams.’ With Richard Yap as Filinvest’s dream advocate, we urge every Filipinos to dream big, and own their dreams. “As Filinvest’s dream advocate, I would like to encourage Filipinos to dream and strive to reach their dreams. To own a dream, we need to live it, work hard for it and claim it!." Led by its mission to Build the Filipino Dream, Filinvest Land, Inc. has launched its new campaign called “I Own My Dream.” This campaign fortifies FLI’s tagline, “We Build the Filipino Dream,” as it aims to inspire more Filipinos to dream and own their dreams. And through its residential properties, FLI continues to help millions of Filipinos achieve their dreams of owning a home. Richard Yap is getting more popular as time goes by. :) And I think Filinvest's campaign really suit Richard Yap. I do like the campaign, we must really work hard for our dreams and not just wait for it to come.